Conservationists, farmers and wildlife enthusiasts have rallied to the cause of one of England’s most threatened birds, the turtle dove, which has seen its worst year yet. Numbers have crashed by 85 per cent since 1995 according to the State of the UK’s Birds report released last week, and sightings this summer were the lowest ever. The British Trust for Ornithology’s recent Bird Atlas has revealed that the turtle dove’s range has shrunk dramatically by 52 per cent between 1970 and 2010, but this year a campaign to save the turtle dove has taken off in a big way. More than 1,250 people rang in to the Operation Turtle Dove hotline in 2013 to report sightings, helping conservationists build up a vital picture of the birds’ nesting and foraging areas. The top county for sightings were Norfolk, Suffolk and Kent. Operation Turtle Dove, a partnership project between the RSPB, Conservation Grade, Pensthorpe Conservation Trust and Natural England, has been busy visiting farms in the South and East of England to help them put in place measures to help turtle doves bounce back. Advisors have helped unlock £16 million worth of funding for farmers to carry out agri-environment schemes which will benefit the birds. 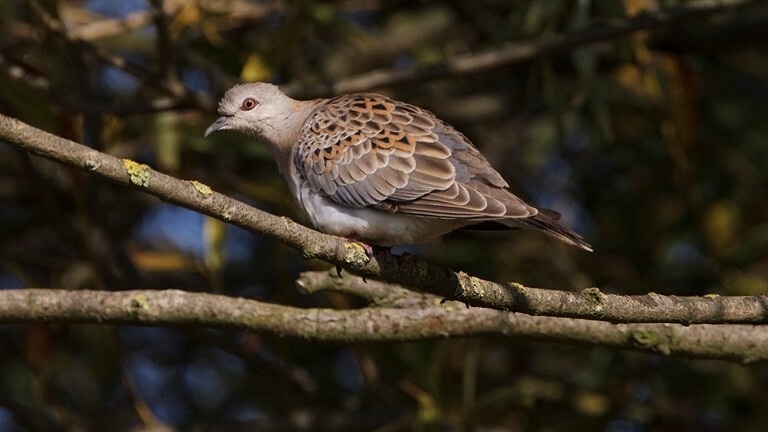 Simon Tonkin, farmland advisor for Operation Turtle Dove, said: “Although we sing about turtle doves at Christmas, in fact they are in their African wintering grounds at this time of year. But closer to home we believe it is the loss of arable plants from our countryside which is having a major impact on them. These birds spend the summer in England where they rely on wild plants for food – but the way we farm has meant there is often no room for them at the edge of fields. “Turtle doves are a symbol of enduring love from Chaucer to Shakespeare and their unmistakable purr is an intrinsic part of the English summer. We must act urgently to save these beautiful creatures now while we still can – because if we don’t they will disappear from England entirely within a generation.